Some of us are also members of the Wentworth Women’s Institute and were asked to enter examples of lace in the “100 Shades of Green” exhibition at Kiplin Hall to celebrate the 100th anniversary of the W.I. 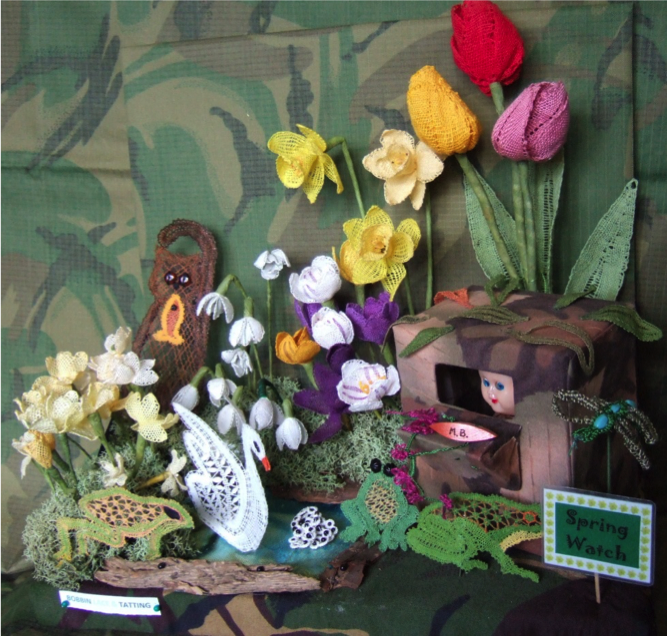 Not much lace around worked in green but a few years ago we created a display “Spring Watch” so had frogs and leaves tucked away on top of the wardrobe. This is a minute portion of the original to fit a limited space. Mostly bobbin lace except tatted dragonfly and frog spawn. 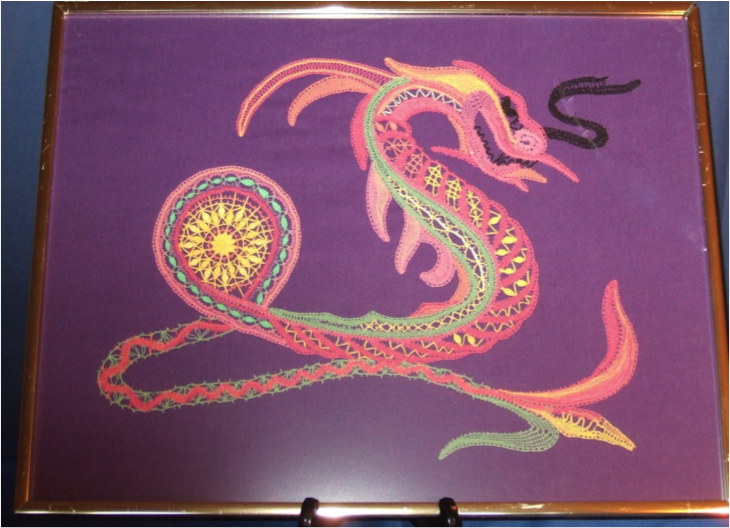 My own entry is the East European Guipure lace “Dragon”, well, it does have a streak of green. We are the Rockingham Lace Makers and Rotherham Lace Club, of South Yorkshire. 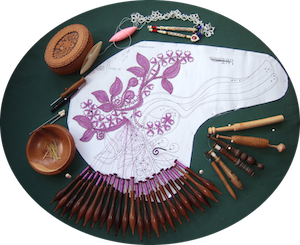 We offer a friendly get together and tuition for both beginner and experienced lace makers in South Yorkshire.